Ignition interlock device or wearing a device monitoring alcohol consumption would be required. MADISON -- Senator Andre Jacque and Representative Jeremy Thiesfeldt are circulating a bill seeking co-sponsorship that would allow first-time drunk drivers to petition for an expungement of their conviction if they met certain criteria, namely, the use of either an ignition interlock device or wearing a device monitoring alcohol consumption. The proposed bill would only be offered if the first-time drunk driver didn’t cause injury, and their BAC was below 0.15 percent. Upon request, Senator Jacque’s office provided DrydenWire.com with the email memo that was sent to all Wisconsin Legislators on Monday seeking co-sponsorship. You can read the memo in its entirety below. Ignition interlock devices work. In fact, Wisconsin leads the country in the number of drunk drivers stopped by ignition interlock devices, with 37,299 people who attempted to drive drunk prevented fromdoing so in 2016 in Wisconsin, higher than any other state including California and Texas, which came in second and third. Our neighboring states of Illinois and Minnesota each reported having a little more than 6,000 drunk drivers stopped. We are introducing legislation, modeled after Texas law, which would help keep potential repeat offenders from driving under the influence of alcohol while at the same time offering expungement of a first offense OWI for certain individuals successfully completing use of an ignition interlock device of alcohol monitoring system. 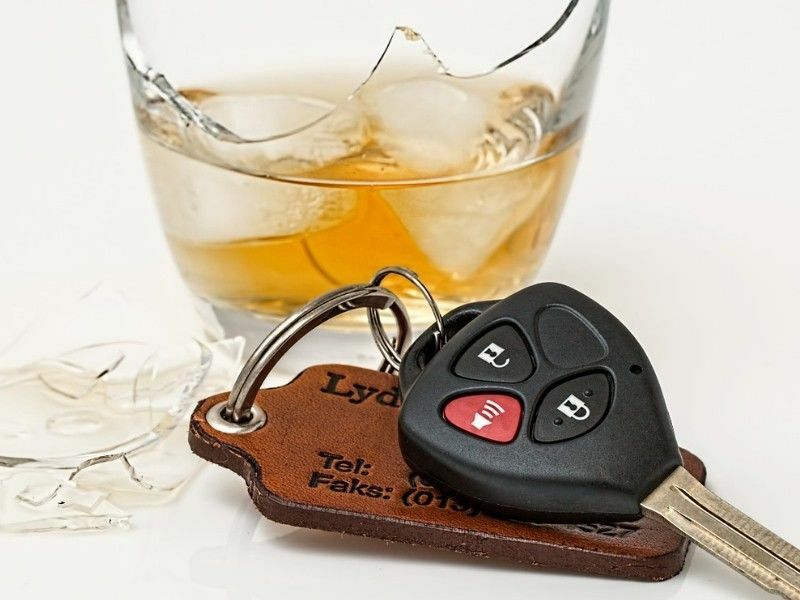 Individuals with a first time OWI charge that resulted in no injury and under a 0.15 BAC would be eligible to have their conviction expunged upon petitioning the court. Having an OWI conviction on your record can have far-reaching consequences, from showing up as a red flag on a potential employer's background check, to preventing a person from qualifying for a professional license, to affecting their ability to meet the financial aid requirements for college or graduate school. LRB 1002 will give first time offenders a second chance as long as they don't try to drive drunk again. A non-public record of the first offense will remain available to law enforcement, so any subsequent OWI will properly be charged as a repeat offense. LRB 1002 will not help anyone with an OWI that is not committed to staying sober when they get behind the wheel. Mothers Against Drunk Driving strongly supports this legislation. Under this bill, a court may, upon petition by a person who has been convicted of a first offense related to operating a vehicle while intoxicated (OWI offense), expunge the record of the person's conviction. A person may file a petition under this procedure only if the OWI offense did not involve an injury and the alcohol concentration of the person at the time of offense was less than 0.15. In addition, expungement under this procedure may be granted only if the person does one of the following for not less than six months: 1) equips his or her motor vehicle with an ignition interlock device, operates only motor vehicles that are equipped with an ignition interlock device, and provides access to the data generated by the ignition interlock device; or 2) wears a device that continuously monitors the person's alcohol consumption and provides access to the data generated by the device.